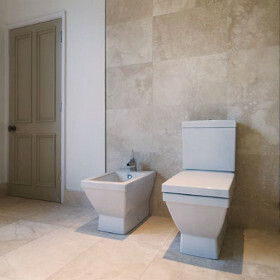 Most of our stone tiles are available in polished, brushed, honed or tumbled finishes. Polished marble tiles are a frequent choice, particularly for bathrooms where both marble floor and wall tiles are used. A honed finish is the preferred option for limestone tiles, which is popular for kitchen flooring and exterior paving. Granite, marble and stone worktops are usually polished to provide that glossy look as well as a sealed hygienic surface. Please feel free to contact us if you require special items, for example pieces of marble of a non standard size or shape, as we can cut to specification and source speical items. 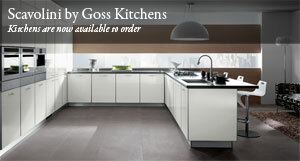 Scavolini by GOSS Kitchens are available now. Or phone 0845 400 4677 to arrange for a consultation with a kitchen designer. Fitting of GOSS Kitchens new Manchester city center showroom is currently ubderway. If you would like to attend it's gala opening email your details for an invitation. To help co-ordinte your project our building and construction services arm GOSS Developments can assist by supplying building services. From tiling and floor laying to kitchen and bathroom fitting including the necessary plumbing and electrical services, we can help. And down the line if your exquisite marble floor requires some maintenance like repolishing, we can help there too. Exterior stone paving and building cladding is another service we can provide.